At this time of year, the retail market always gets more competitive, cluttered and chaotic. However, given the sector’s contraction in 2018, it is more important than ever to maximize your sales during the upcoming holiday season. 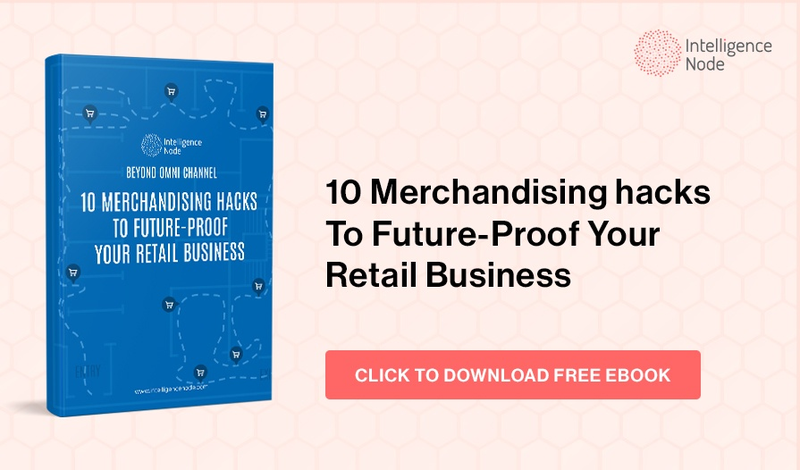 To inspire you to stand out and sell, here are proven best practices from four retail dynamos to help you boost your sales revenue to stay competitive and grow your e-commerce site so you end 2019 strong. Global fast fashion powerhouse Zara knows location is everything. The retailer selects real estate strategically, opening stores in areas where it can cozy up to high-fashion brands. By surrounding Zara stores with upscale retail stores selling exorbitantly priced products, Zara looks significantly more affordable for products that appear somewhat similar to its neighbors’ – which motivates shoppers to buy from Zara. The products at Zara reflect trends popular among upscale apparel brands rather than Zara’s direct competitors like H&M or Forever 21. As a result, Zara’s merchandise looks high-end and feels exclusive, which improves the brand experience by offering a premium look for an affordable price. Similarly, for your online assortment, make your products look closer to your aspirational competitors than your actual competitors so shoppers feel like they get more value when they buy from your company. Zara also strives to be fast, not first. The company adapts to fashion trends at a comfortable pace for most of its demographic, while keeping its merchandise rotation fresh and timely. Instead of having a first-to-market mindset, Zara taps into consumers’ strong fear – and regret – of missing out. The retailer uses scarcity to boost consumers’ desire to buy items immediately rather than risk coming back later and finding their size is gone. That’s why at Zara stores “there’s always something new, and clothes are never stacked too high,” which influences Zara shoppers to pay full price to seize the opportunity to buy right away. On your e-commerce site, the timing of trends is everything, as you don’t want to be too early or too late with trends. Identify your optimal window and consider limiting your inventory to activate consumers’ fear of missing out, as the scarcity principle can boost sales. Have you ever noticed the lack of background music in Target stores? It’s deliberate. The mass merchandiser’s decision to exclude music is an attempt to make the customer experience more enjoyable by preventing shoppers from being distracted from all the fantastic in-store deals. How can your e-commerce site cancel out the extra “noise,” such as decluttering your homepage or making the buying process as simple and streamlined as one-click ordering so shoppers can concentrate on discovering and buying great products? In a Target store, consumers may find that navigating to their desired aisle is like going through a fun maze filled with treats, great deals and eye-catching displays. Similarly, keep your online customer journey positive and enjoyable from the homepage banner to the checkout page by designing a customer-centric, inspiring web architecture. Fill each webpage with attractive and even unexpected products to surprise and delight shoppers to make them more willing to explore and spend. Just like customer experience leader Starbucks, Target excels at anticipating customers’ needs for a frictionless customer experience. Associates focus on helping people rather than pushing products. For instance, store associates proactively look for the next problem to solve, rather than aggressively trying to sell. Attentive associates notice shoppers’ patterns and pain points to serve better. On your e-commerce site, which scenarios pop up often, and what can you learn from them to better anticipate consumers’ out-of-the-box needs? For instance, perhaps you can simply let customers try before they buy to prevent the hassle and time associated with product returns to improve brand trust, sales and loyalty. Winding through Target’s spacious store footprint can tire out shoppers as they navigate from one corner of the store to the other. The retailer grasps their exhaustion as an opportunity to wave relaxing products in shoppers’ faces to encourage pampering to reinvigorate them. Similarly, your e-commerce site should match your customers’ lifestyle needs to the products you recommend they add to their cart. Use data on consumers’ preferences, past purchases and consumer reviews to determine which items to recommend as solutions to their pain points, which can encourage them to spend more. Cosmetics giant Sephora generously offers shoppers free trials and samples to take home, the retailer encourages consumer awareness and engagement, increasing the likelihood that shoppers will like and buy their products. This tactic reflects the principle of reciprocity: when someone gives us something we feel compelled to give something back in return. Do you “give to get”? Do you allow shoppers to sample your products to help them believe in your merchandise and trust your company? Also, who among us can resist adorable travel packs? Sephora displays these miniature products at the checkout counters- impulse purchases masquerading as endearing, affordable luxuries. With their single serve size, innovative packaging and colorful assortment, travel packs look irresistible, which increases their sales, even when their unit price is a smidge ridiculous. Does your e-commerce site offer single-serve units or the equivalent – something small, cute and too attractive to turn down? Sephora also offers a 60-day return policy. The company permits the free return of used products if a customer exceeds a certain purchase amount. That way, if a beauty item irritates their skin or a lipstick looks less flattering at home, shoppers feel assured they can return the item, which increases their likelihood to buy it in the first place. How does your return policy compare to Sephora’s? Department store chain Macy’s is using its new loyalty program to reward customers based on how much they spend, so when shoppers spend more, they pay less. Providing a direct relationship between purchases and discounts can inspire repeat purchases by rewarding their loyalty. On your e-shop, do you reward your customers with discounts and offers after their purchases to motivate them to keep coming back? Another way Macy’s convinces shoppers to buy more is with discount bundling. By offering multiple products at the same time, the retailer increases the average transaction value and appeals to consumers by showing how much they save by buying the products together rather than as individual items. Consider bundling multiple products on your website and emphasize the savings shoppers receive if they buy the items together. By offering a full refund on cosmetics, Macy’s earns consumer confidence because shoppers know they avoid the risk of having to keep a purchase they regret. Consumers feel more willing to spend if they know they can return a product without any hassle or financial consequences. Does your e-commerce site offer a full refund policy to make shoppers more open to buying? Macy shoppers do not need a receipt to exchange items, which makes the shopping experience smoother, friendlier and more generous than exchange policies that demand receipts. Easy exchange policies make customers more willing to buy. When online customers shop on your site, what exchange policy do you offer? These proven customer-centric tips helps major retailers persuade shoppers to buy more. These effective tips can also help you boost your e-commerce website sales and – best of all – there’s still time to implement them to maximize your holiday sales this year.